Wanna get festive with us? Grab a mince pie or three, and get ready to get inspired with these gorgeous creations. 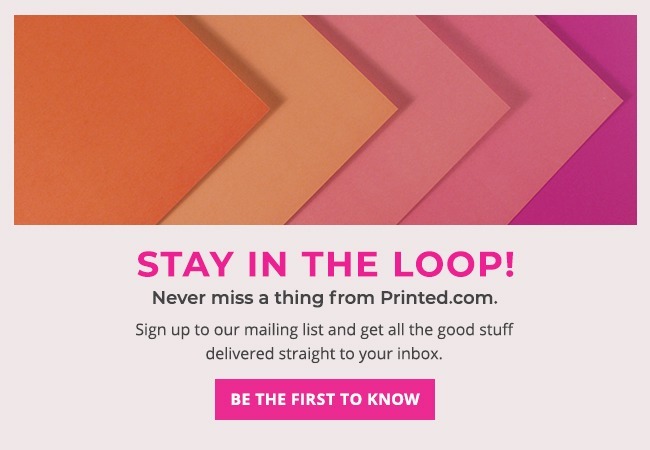 And don’t forget, we love to see your designs, so tag us using #ProudlyPrinted for your chance to get featured! Show that special someone just how much they BEAN to you with a card and gift that grows with your message from LucyandLolly! Seriously though, how cool are these cards? They’re a card and gift in one and we like that way of thinking. Less wrapping paper, more money for mince pies. It’s a yes from us. 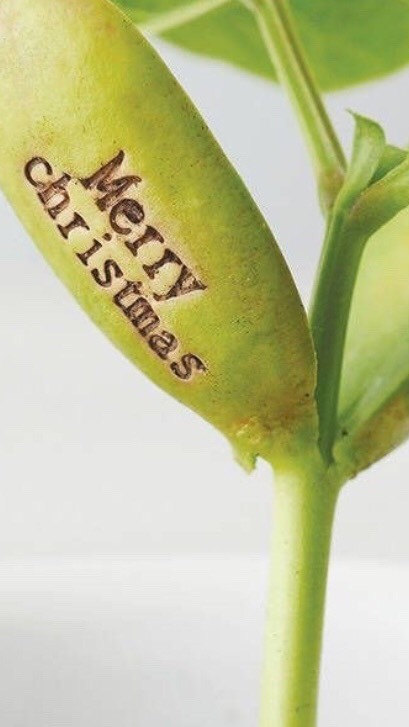 As each card contains a detachable magic plantable bean, your recipient will have the joy of watching your gift grow over time – how’s that for a lasting impression?! Just check out one of the beans in full grow mode below! Crafty Lucy recognised that sometimes saying it on a card just isn’t enough, that’s why lucyandlolly have designed a card that grows with your message! Lucy’s got a love for nature (would you have guessed) and she’s passionate about creating meaningful gifts with an eco friendly twist, using recycled materials as much as possible. She can often be found in her studio with her comfies on, cup of coffee in hand and her 2 dogs at my feet – and of course surrounded by lots of BEANS!!!! Don’t be square this Christmas… be Squaire! 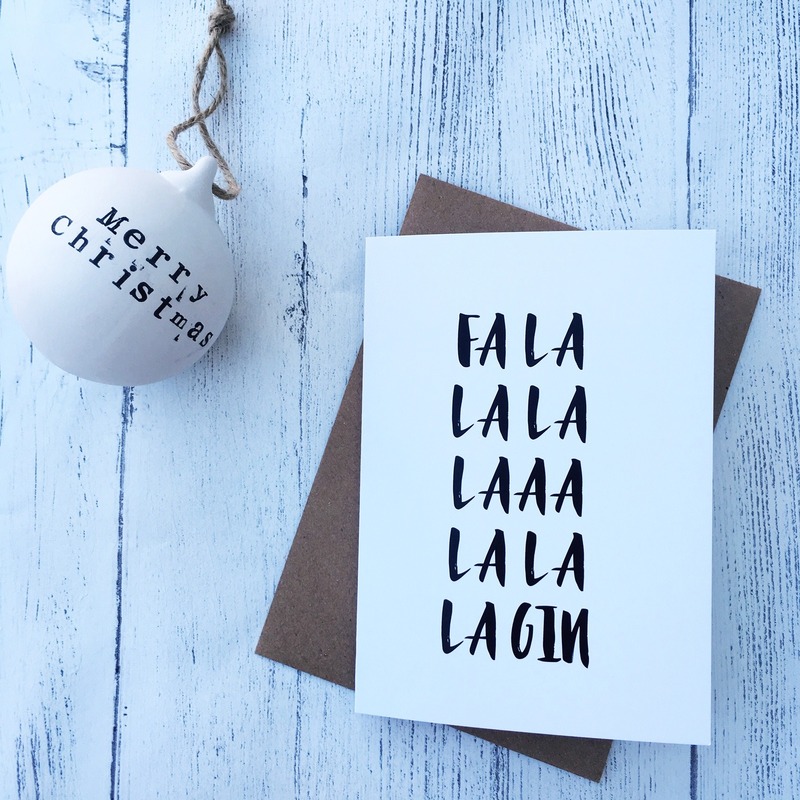 How gorgeous are these foiled Christmas Cards?! Featuring gold Foil (above) and rose gold Foil (below) these square cards are guaranteed to stand out amongst the sea of festive creations this year. Typography and calligraphy were big trends for 2018 and Squaire have stuck to it with these simple, yet strikingly effective designs, proving that sometimes, less really is more – especially when it’s enhanced with Foil! 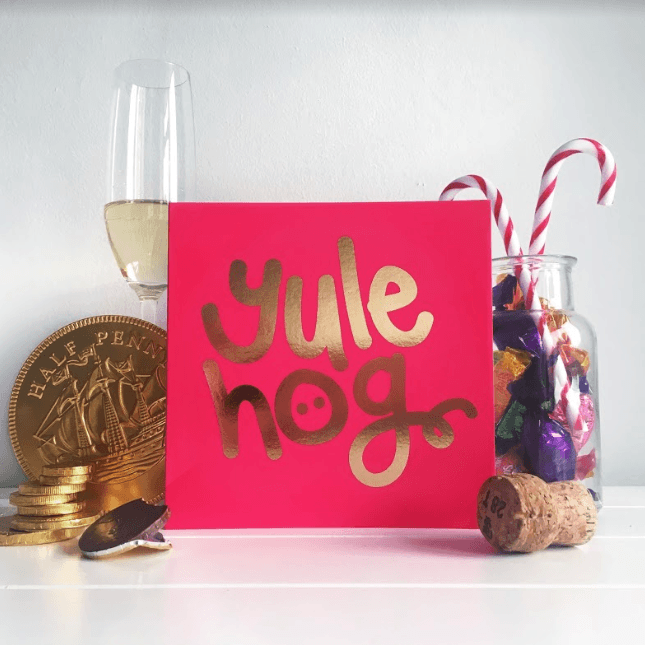 We love the pun-tatsic take on Christmas messaging too – Yule Hogs anyone? 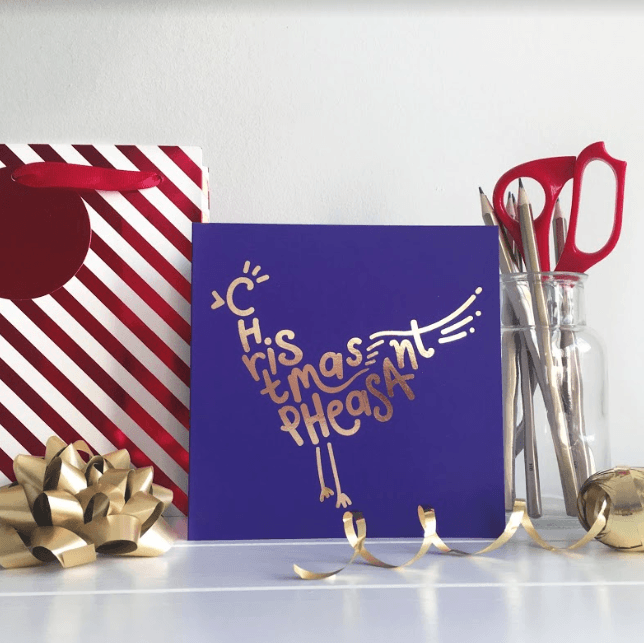 What about a gloriously shiny Christmas Pheasant?! 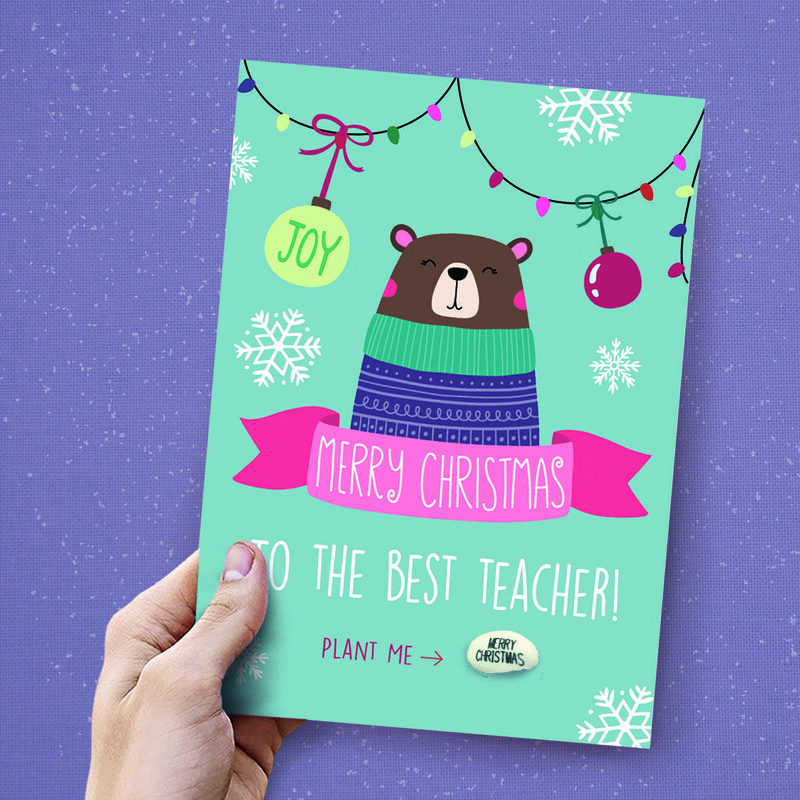 Keep ’em coming Squaire, we’re feeling all festive with your creative designs! 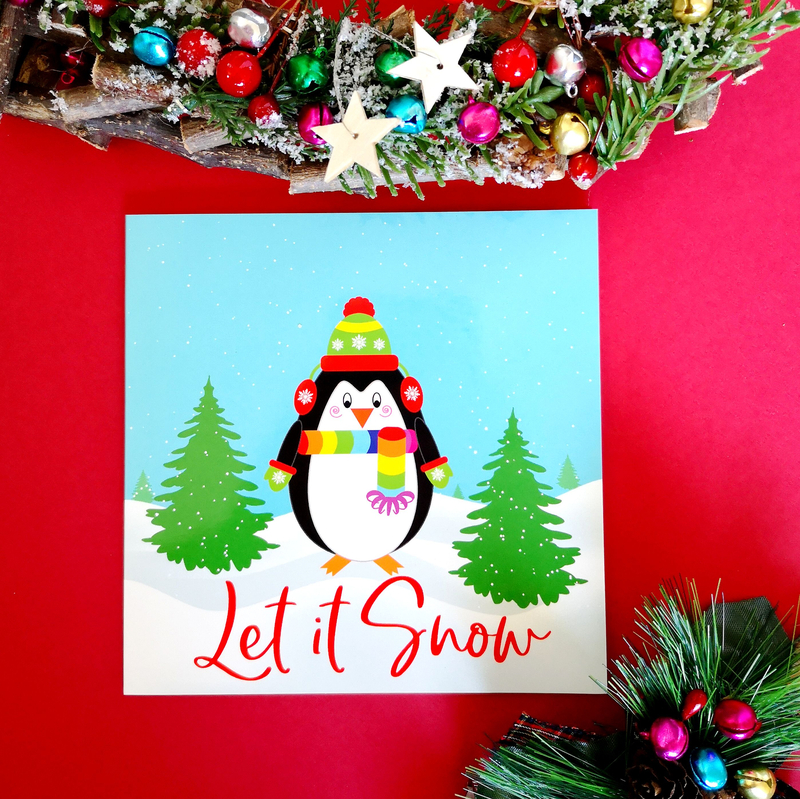 What’s Christmas without an adorable little penguin?! This little fella is even sporting a rainbow scarf and some seriously enviable ear muffs. We absolutely adore him – so if anyone wants to purchase him and send him our way, we’d be forever grateful. 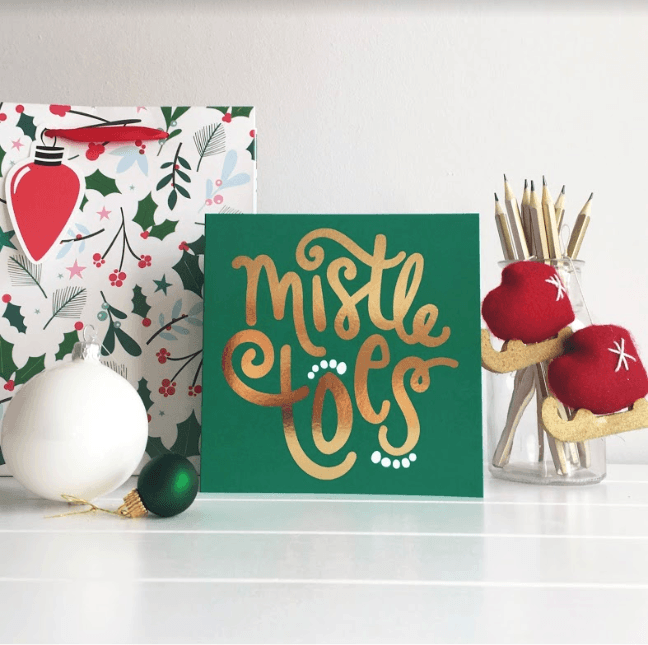 Going against traditional cards and greetings Samantha King shows us how to do tongue-in-cheek typography, the right way. 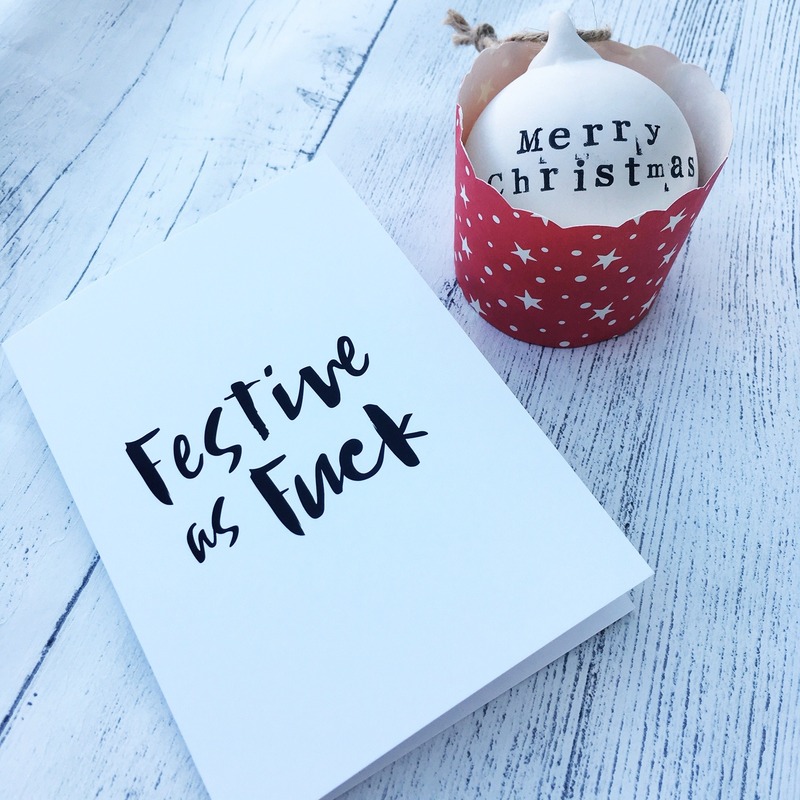 Whether you’re festive AF, or getting in the spirit with, uh, gin… she’s got a card for that. These strikingly simple monochrome designs are ideal for anyone who likes to break the rules and do things a little differently. Or, well, anyone who likes gin. Or wine. That’ll be us then. Capturing the essence of every dog lover and dog owners life, Trotting Dog created these awesome Vizsla inspired Christmas cards as a part of a special charity collection. 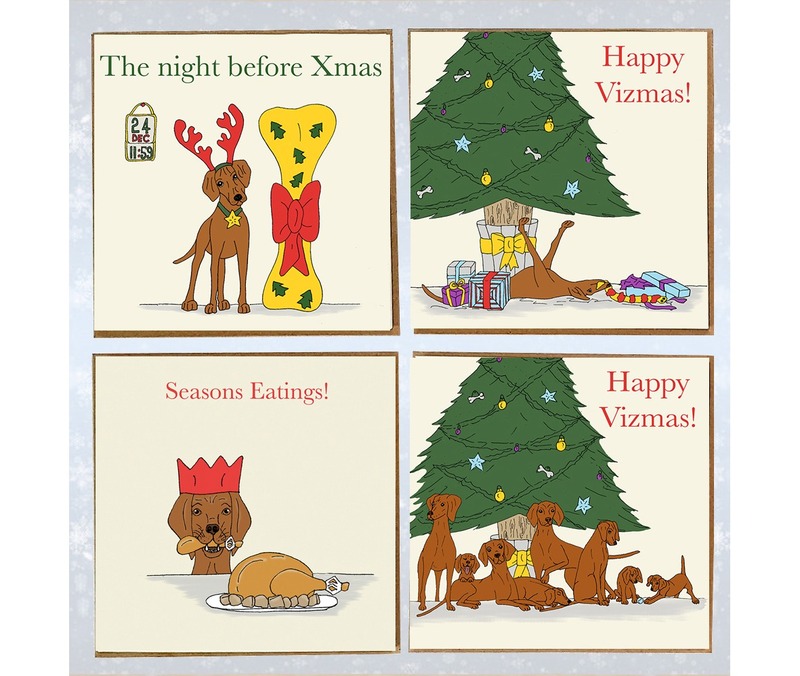 It’s Trotting Dog’s second year of supporting the people who raise money to for Hungarian Vizsla’s in need of rescue & rehoming through card sales and the funny Vizsla illustrations are the ideal fit for such a great cause. We adore each and every single one, but we especially love the above card design – it’s a special double cover’ front and back edition! 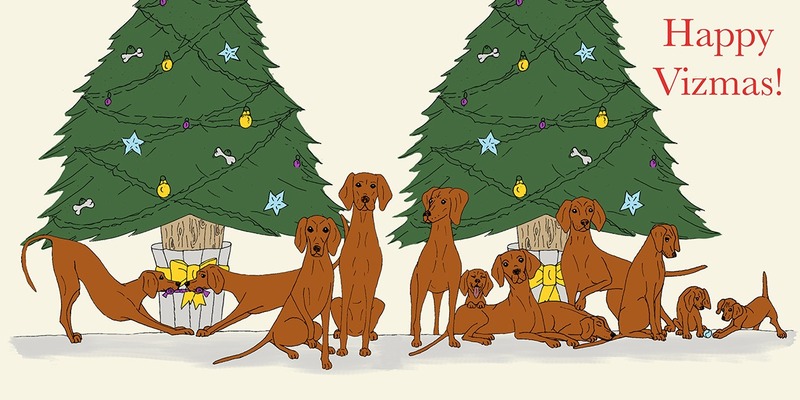 We don’t think we could ever get that many Vizsla’s to sit still for a photo, especially not when there’s a Christmas tree involved… but the quirky illustrations from Trotting Dog manage to perfectly encapsulate the festive feeling!